Pollensa Old Town founded by the Catalans in the 13th century around 6km from the coast in order to avoid Pirate attacks is without any doubt one of the most attractive and beautiful areas of the island. Its stimulating configuration has always been the subject and motivation of painters from all over the world who have represented it in their canvases. 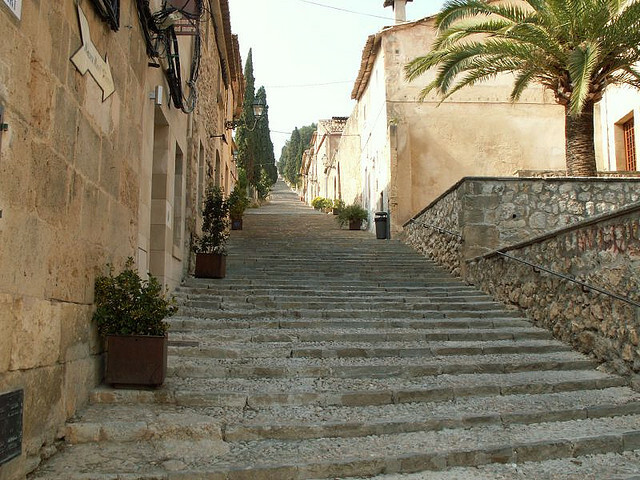 One of the icons of the old town Pollensa is “El Calvari” a mountain with 365 steps leading up to a little church at the top with a view of the entire municipality. This is also where the famous easter procession takes place. 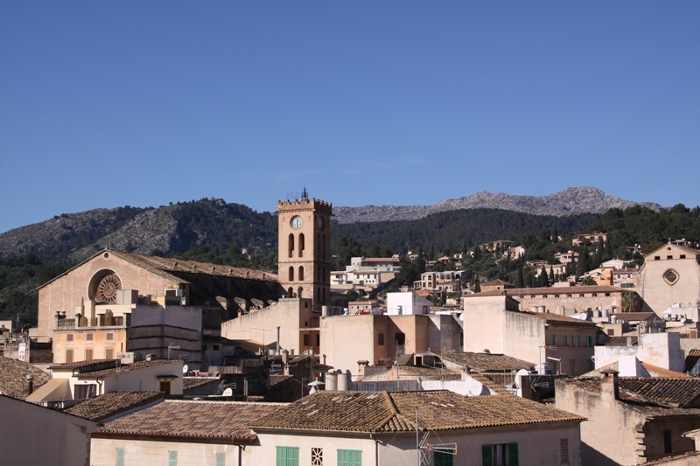 Pollensa Old Town also features many cultural interests such as the Roman Bridge, the “Puig de Maria“, the Parish Church, the main square, Saint Domingo’s Cloister and the museum of Pollensa. 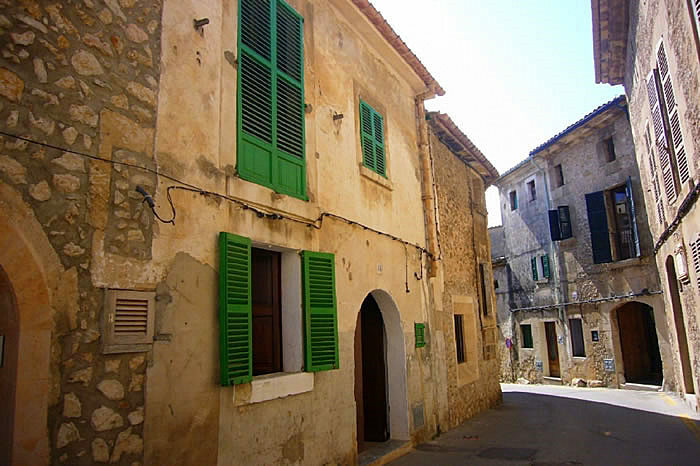 Many of these things and more are what preserve the traditional architectural style of the town. Did you know? Handy to have up your sleeve if you just want a quick, easy bite rather than a full sit-down lunch (although when you see the specials board you might just swing in that direction)Is local restaurant/cafe “Manzanas y Peras”. They’re homemade (and locally renowned) goats’ cheese tarts go down a treat. Handly located just at the bottom of the 365 Calvary Steps.